Jessica Graybill is a Registered Nurse, who began her career in Pediatric and Neonatal Intensive Care. She quickly found her passion in aesthetic dermatology, and has since been practicing nursing in that field for over eight years. 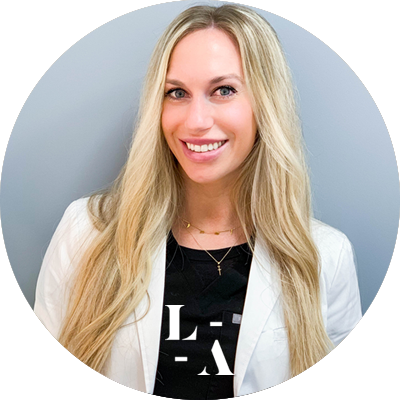 Jessica advocates for a holistic approach to aesthetics; believing that quality skin care, in conjunction with laser treatments and injectables, create the best outcomes. She truly enjoys teaching other professionals that are newer to aesthetic dermatology; focusing on the science behind the procedures. She is also passionate about furthering her own education in the field, and is thrilled to be working at a company known as a leader in the industry.